The biggest digital health hackathon is in Athens, Greece on 8 February 2019. Trillium-II, Patient Summaries and the HL7 FHIR IPS standard are part of Hacking Health Athens. Three deliverables on the context, role and adoption of the IPS in the global ecosystem will be submitted to the Commission this month. The deliverables firmly established the use case for disaster response teams and the welfare of children to benefit from the creation and use of the IPS. They have also defined the main areas of educational content that are needed to maximise clinician and patient endorsement and use of the IPS and identified the kinds of benefit from the IPS that should accrue across stakeholders but found the need to urge for greater investments in evaluations of PS deployments and a co-ordinated European approach to highlighting the evidenced benefits. The deliverables will be public after they have been accepted by the Commission or upon request. On 21-22 November 2018, the WHO Regional Office for Europe kindly hosted a follow-on consultation building on workshops in EFMI MIE2018 and CEN TC251 to seek the views of the wider stakeholder community to review, develop, and refine ideas to suggest further actions necessary to progress the health data and record keeping and sharing aspects of childhood immunisation in Europe in a systematic and child-centric way. This stakeholder consultation was attended by representatives from the WHO Europe, member state countries, SDOs, ECDC, Vaccines Europe, Joint Action on Vaccinations and members of the Trillium-II and MOCHA projects. The main discussion points during the workshop went around common interface to immunization registries and patient summaries, the Yellow Vaccination Card, reasons for non-immunizations as well as Home-based records. During the workshop, it was also discussed which work strands and projects that would support this agenda, who would lead these projects, who would contribute under what coordination mechanism, and what funding or resources are available or needed to advance this agenda. 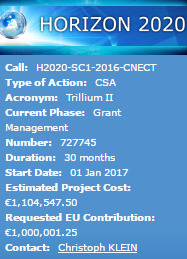 A report from the consultation workshop will be available in December 2018 and results of the work will go into D4.1 of the Trillium-II project. 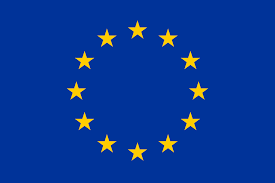 The European Standard for The Patient Summary for Unplanned, Cross-border Care has been approved by the members of CEN Technical Committee 251 Health Informatics. This is a major accomplishment for both European and global collaboration. Compete for the Trillium-II prize! The Trillium Prize will be awarded to the organisation that, in the opinion of a panel of judges, has done the most to promote the beneficial use of the FHIR IPS for international medical information exchanges. The competition will close on 1st May 2019. Winners will be announced at an appropriate event in Europe a month thereafter. The Trillium-II project (www.trillium2.eu), participated in the 5th European Union Module Exercise (EU MODEX-Ro) to evaluate the International Patient Summary (IPS) in the context of a disaster management and emergency response exercise. EU MODEX-Ro took place in sites around Bucharest on 14-18 October 2018, hosted by the Ministry of Internal Affairs of Romania. EU MODEX-Ro was the largest medical exercise in the history of the European Union with more than 3500 participants and by number of teams and participants it was the largest Medical Module Exercise within the framework of the Union Civil Protection Mechanism with participants from all member states, 600 role players and 2000 medical injects. Trillium II collaborated with the MIE2018 Local organizing Committee, Vitalis, Ramsey Systems and Firely in the organization of the MIE2018 Datathon, in Gothenburg April 23-25, 2018. The special topic of the DataThon was chronic patients with Asthma and Trillium II explored the role of an extended patient summary in supporting the health journey of patients with Asthma. Read more about the results here.